The Birthday Party back catalogue has moved labels, and is being re-issued. I am not sure if this means any re-mastering has taken place, or if any extra tracks (unreleased mixes, demos, whatever!) are to be added. No doubt. The Birthday Party catalogue, the band that was the musical origin of Nick Cave, will be reissued via Michael Gudinski’s Liberation Music. The Birthday Party morphed out of The Boys Next Door in 1980 but by 1983 it was all over. The Birthday Party was Nick Cave; multi-instrumentalist and songwriter Mick Harvey; singer, songwriter and guitarist Rowland S. Howard; bass player Tracy Pew and drummer Phill Calvert. “We’re very excited to have the catalogue find a good and enthusiastic home for now and into the future,” Mick Harvey said in a statement. 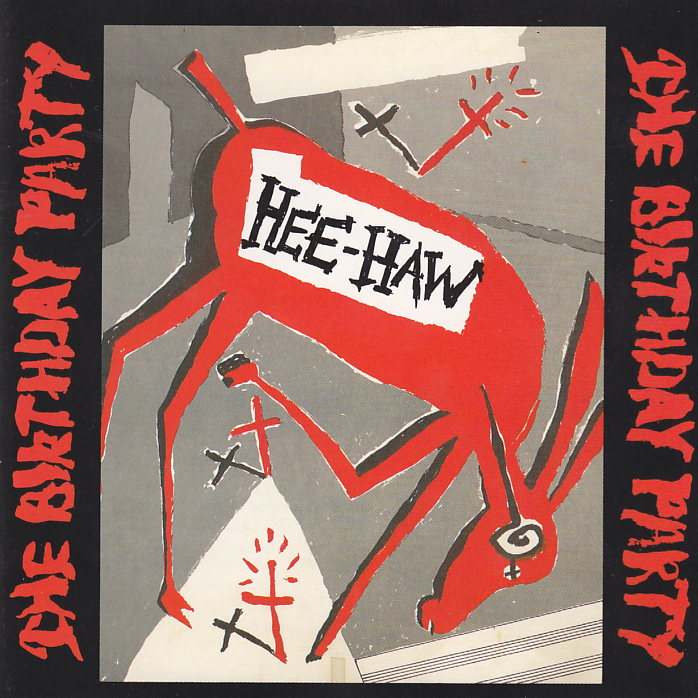 ‘Hee Haw’, the first album for The Birthday Party (originally titled ‘The Birthday Party’ was released in 1980. The band released three more albums, ‘Prayers On Fire’ in 1981, ‘Junkyard’ in 1982’ and ‘Mutiny / The Bad Seed’ in 1983. “Mushroom has a long and proud history with The Birthday Party dating right back to The Boys Next Door’s debut album in 1979. With the help of Gerard Schlaghecke I was equally proud to renew our association with the late and great Rowland S Howard in 2008 and now with special thanks to both Mick Harvey and Paul Costello I’m really excited to represent this wonderful catalogue of albums from one of the greatest Australian bands,” said Michael Gudinski. In late 1983 the band split. Cave and Harvey went on to form Nick Cave & The Bad Seeds. Harvey also had the side project Crime and the City Solution with Rowland S. Howard the Howard went on to form The Immortal Souls. Nick Cave and Mick Harvey are the only two surviving members of The Birthday Party. Tracy Pew died from a brain hemorrhage at age 28 in 1986. Rowland S. Howard died from liver cancer in 2009. An official release date for the reissues will be announced shortly. via The Birthday Party Catalogue To Be Reissued | New Music | Music News | Noise11.com.